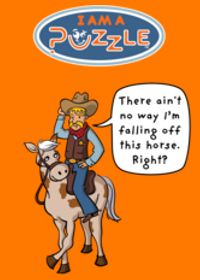 It became a tradition on TheMathMom.com to feature interviews with our best puzzle solvers. I think it is a take on TheMathMom coffee mugs we used to mail to our best puzzle solvers (till I run out of them). My next mug should be designed by Nina. It turns out that Anne-Marie was born and raised in France, English is her second language that she took in school at age 11, and Spanish is her third language that she learn at age 13. Math is her fourth. Now, she lives in the US but occasionally visits France. Our interview caught her with her family in Paris, celebrating Bastille Day and her son's 12th birthday. Q: Anne-Marie, do or did you ever use math professionally? A: Yes, I have used Math professionally when I was a nurse assistant and a nurse in training. I used Math when preparing injections or prepare medicine for patients. I used to recalculate the dosage that doctors prescribed just to make sure there was no error. You have to know how to use the weight and volume units. You also use Math in order to pre-order soap, sanitizers...for several weeks and for a service. In nursing, you use Math in many ways and I also used it when I was in the army in many different ways. Q: Have you ever did any miscalculation using logic and numbers in real life. Yes, I did but my biggest dilemma was during a modelism class. We had to find an equation supposed to fit the data of HIV in Africa. I remember that I was not happy with the results because no equation fitted correctly the data and I was frustrating with modelism. I learned that there is no perfection and use of technology for this is a must in Math. Q: Some people say that best ideas come to them in the shower, for some it is while they are asleep, for some - while they are jogging. For you, what conditions, mood or environment are the most optimal to tackle a hard puzzle? A: To tackle a hard puzzle, I prefer to be at home without my kids (including my husband) asking me something every 5 minutes. Any kind of quiet environment works. Q: To whom or what you are attributing your interest in math - a teacher, parent, TV program? A: I believe in " you need a village to raise a child" so I attribute my interest to everybody. Q: I noticed that there is a new puzzle solver, Ben age 11, that may be your son. Is this true or I am mistaken? A: Right, Ben turned 12 a couple of days ago. Q: How do you infuse math interest in your son? A: I have three kids but Ben shares with me the love of solving puzzles and games. I think that Ben is gifted with math and both of us enjoyed playing with math together. Regularly, I present a puzzle to Ben, just for the fun of it. Ben is also proud that his mom is doing a master in education in Math.